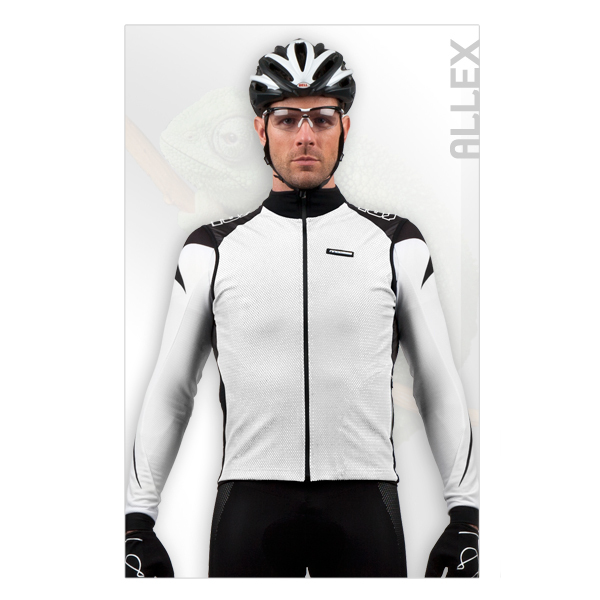 Thanks to a metallic membrane, the fabric used on the front panel of the Allex Gilet is windproof and insulating whilst offering excellent breathability, plus the front zipper is windproof and waterproof. The back panel fabric has an open structure, giving a light and airy feeling, whilst maintain insulation from the wind. The woven elastic in the hem and back panel guarantees a perfect fit thanks to the anti-slip strip inside. In the front there is a zipper pocket in the side panel for storing little items. Reflective bands along the rear side panels provide extra visibility and safety on the road. Good product. Go big in sizing. Excellent value. Top notch service - exchanged original order - all done very quickly and smoothly. Excellent product for a fantastic price, stops wind chill very well. Great fitting product, great value, does what it says on the tin. Having the pocket is very handy too. Runs a little smaller than expected. Keeps the wind off well for the cold. Not too breathable. But gets the job done at a great price. Great product. Very well designed and of the highest quality level. Moozes is becoming a well respected brand!